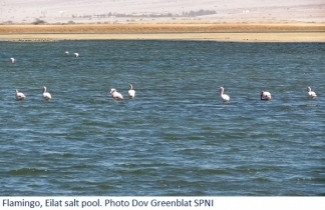 While salt extraction and sustainability don’t usually go together, executives at the Israeli salt manufacturer Melach Ha'aretz (literally “Salt of the Earth”) have turned their salt pools into one of the most important habitats in Israel for thousands of waterfowl, providing a safe haven for Flamingos, Little terns and Common terns. Sea salt is produced by the natural evaporation of seawater, and Melach Ha'aretz has salt pools in Eilat (in the South) and Atlit (in the North) for just this purpose. In fact, they have been extracting salt from the Red Sea and Mediterranean since 1922. Over the last 30 years, the company noticed that many migratory birds were using the salt ponds as nesting areas while passing through the region every fall and spring. When Melach Ha'aretz realized that natural predators, such as jackals, foxes and dogs, were threatening these birds with extinction, they partnered with SPNI and other environmental protection agencies to preserve this unique habitat and protect the waterfowl that call it home. Melach Ha'aretz and SPNI launched a program to fence off “islands” in the heart of the salt ponds to deter the predators. The protected areas also solved flooding problems that had been caused by rising water levels in the salt ponds and had taken a severe toll on the population of Little terns. The significant investment of resources has paid off, as hundreds of endangered Common terns and Little terns have been saved from annihilation, with the number of Little terns more than tripling from a perilous low of just 300 pairs. Melach Ha'aretz has installed observation cameras in the nesting areas for continued research and monitoring of the growing water fowl population. 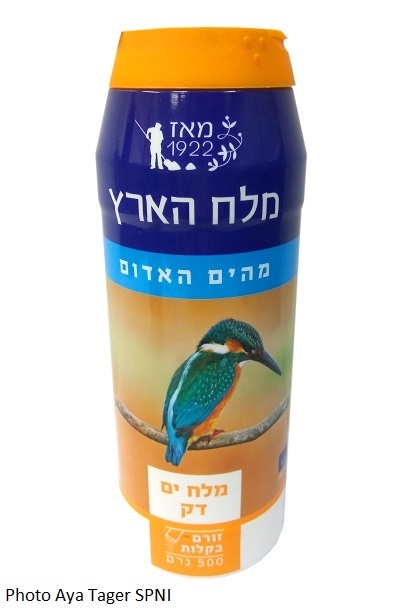 At SPNI’s urging, the company also added pictures of the birds to their salt container packaging to educate the public about the importance of this environmental conservation program. “We have the privilege of hosting an exceptional range of waterfowl in the salt ponds, providing them with a protected and food-rich environment that enables them to live and prosper,” says Revital Ben Shachar, director of marketing for Melach Ha'aretz. 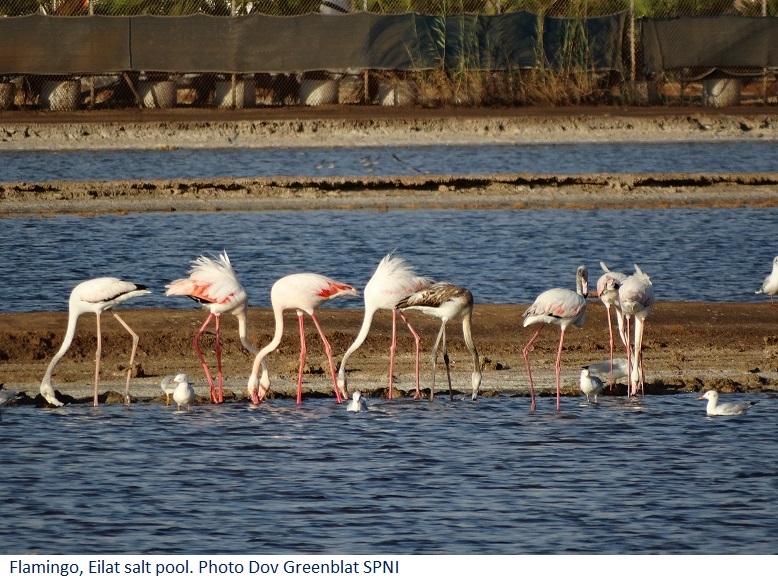 For the first time, SPNI and Melach Ha'aretz are opening the salt pools in the north and south to the public, offering special, family-friendly guided birdwatching tours (in Hebrew) throughout the summer months. Tours in Atlit will include entrance to the Atlit Visitor Center, and tours in Eilat will include entrance to the Israel Ornithological Center.